This album from Van Morrison is as blue as the cover. It is one of his bluesiest albums. Van has pretty much been a blues rock artist since the mid-nineties, when he settled into that groove, with bits of jazz and country thrown in. That is certainly the case here. His mystical, spiritual quests are long gone now. It kicks off with a wonderful, slow burning blues potboiler in "How Can A Poor Boy? ", which is packed full of harmonica and blues guitar over its insistent, intransigent blues rhythm. "School Of Hard Knocks" is a appealing, melodic song with Van telling us that he was "educated in the school of hard knocks...". We know, Van, you've been telling us for a while now. Yes, Morrison doesn't change, not so much out of what is often a cynically-perceived wilful stubbornness, but simply because he doesn't want to. He is comfortable with what he does, and, if you are of a mind to accept it too, so will you be. This effortless bluesy approach is what he is happy doing and, listening to it, it has a "comfortable pair of slippers" feel to it. "That's Entrainment" has such as addictive groove to it. The music is, as always, immaculately played. Personally, I will always get pleasure from these albums. Van's moaning is not quite as full on here, he rumbles away between the lines here and there, but in not quite so bilious as in the past. Now, he is just an ageing man telling us how he "Don't Go To Nightclubs Anymore", in a re-write of the crooner classic "Don't Get Out Much Anymore". He is right too, one needs to be "age-appropriate". "Lover Come Back" is a slow ballad with a bit of a Celtic air to it, with a twangy country guitar introduced at one point. "We got to keep it simple and that's that....", Van tells us in the gorgeous, soulful title track. That's just the way it is. You know, he's got a point. "The End Of The Land" is a slow tempo soul blues, with a sumptuous, deep bass line and an evocative vocal. "Song Of Home" is an organ-driven country ballad with some good backing vocals. "No Thing" is a slowed-down number which touches of rock'n'roll balladry in it and some jazzy backing vocals. Like many of the songs on here, they are blues songs with touches of country, like the steel guitar on here, or those rock'n'roll doo-wop style backing vocals, or some jazzy organ breaks. "Soul" has Morrison telling us, convincingly, what soul is, suitably soulfully. He hits that groove and it is most evocative, with a lovely saxophone break from the man himself, and some killer guitar too. The album ends on another soul-influenced track, the uplifting, inspiring "Behind The Ritual". This is possibly the best track on the album. Morrison's vocal is a bit slurry, but affectingly so. The tone is deliberate. The song builds and builds and it is totally atmospheric. A great end to a good album. Every few years, he has released these albums and, although they don't change much, I love them all. 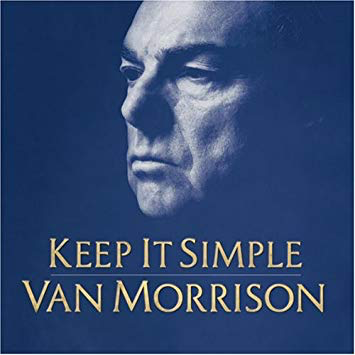 Incidentally, on the cover, Van looks somewhat like a cross between the legendary cricket commentator John Arlott and actor Michel "Foyle's War" Kitchen.